High-tech happens organically in places with built-in advantages, but it can happen elsewhere too, and state investments can play a part, says Illinois sociology professor Kevin Leicht. CHAMPAIGN, Ill. — States have spent millions to develop high-tech industry, with its promise of good jobs and economic growth. But does the public investment pay off? A national study of such investments in the 1980s and 1990s suggests it does – including in places where prospects for high-tech seems less than ideal. The key for these state programs is often patience and modest expectations, says University of Illinois sociology professor Kevin Leicht, the study’s lead author. The study, “State investments in high-technology job growth,” is reported in the journal Social Science Research. For the purposes of the study, high-tech industries were defined as those with twice the average proportion of employees engaged in research and development. Whether government programs or policies even have a role in developing high-tech has long been a question of debate, according to Leicht and his co-author, J. Craig Jenkins, a professor emeritus of sociology at The Ohio State University. The predominant view has been that high-tech development happens only organically, in places with built-in advantages or a high-tech history. In those states, investments in facilities such as university research parks and technology incubators can be key, Leicht said. “The investment in universities works especially well if you don’t have these other advantages, like a pre-existing network of high technology entrepreneurs,” he said. Such high-tech centers fall under a “technopole” strategy in which public programs support public research and specialized infrastructure to grow high-tech industries in specific locations or technopoles. The other most common approach, as laid out in the study, has been a more decentralized “entrepreneurial” strategy through which state programs promote private investment and the development of local networks, entrepreneurs and partnerships. The latter was found to be the most effective strategy in places with existing high-tech development or advantages, Leicht said. In that respect, the study supported the idea that high-tech development is often organic, though it can still benefit from state support. For Leicht, the author of books such as “Middle Class Meltdown in America,” the study of high-tech development over a couple decades has been part of his broader research focus on economic development and jobs-related issues. They suggest that broader public awareness of these policies and programs might broaden public support for them, as well as promote a better balance between the growth of these high-wage jobs and a broader set of employment opportunities. 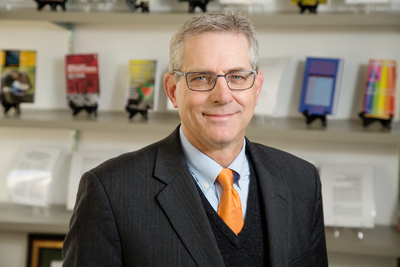 Editor’s notes: To reach Kevin Leicht (pronounced Lysht), call 217-333-1950; email kleicht@illinois.edu. The study, “State investments in high-technology job growth,” is available online or from the News Bureau.